Solid brass trivet with rubber feet. 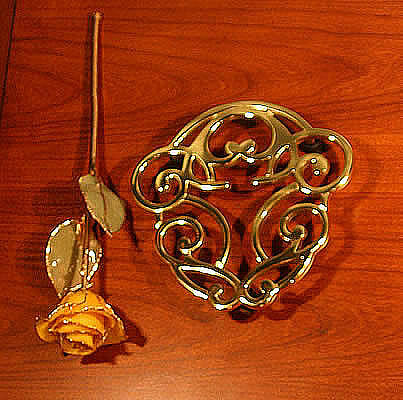 This traditional acorn design trivet is cast from solid brass and is a lovely addition to any table. It measures 6-3/8" wide by 6-3/8" and stands 1" high on three rubber covered feet. Weight: 14 ounces. This trivet was a gift that was very well received by the recipient who will use it on holiday tables and for entertaining.